1. Move in is Wed. April 24th, all day. This is optional. 2. The show is April 25, 26, 27, all day. 4. Registration done over the phone by calling. 713-649-0922. Don & Gail Moore. Gail is the lead. your space, and mail in payment check. No credit/debit cards. 6. Around April 1st packets will go out in mail with all paperwork. I was assured if we need to cancel all spaces a refund will be given. 7. There will be a car corral, and some sort of car show. 9. The "spaces" are first come, first served. We can reserve any number of spaces, in a row, back to back. The rows are double wide, walk way between rows. 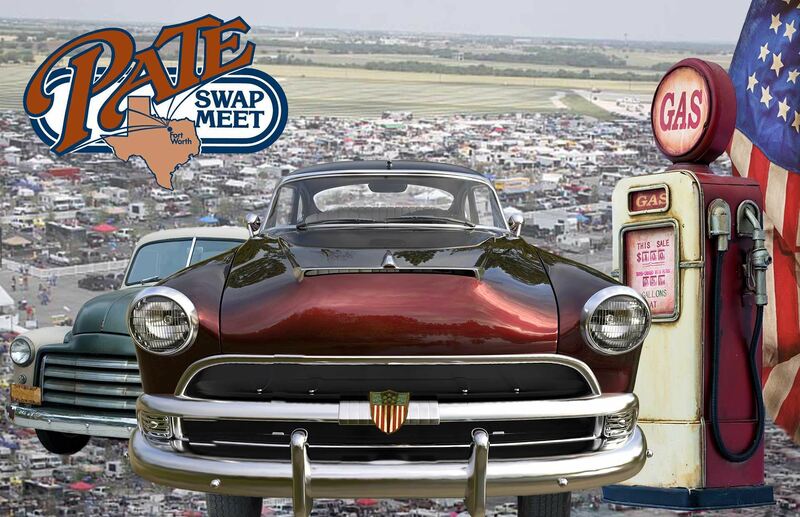 Like most swap meets each row is two spaces back to back. I can see us going back to back and using center area for sitting, resting, eating. There will be shower facilities, bathroom facilities, and track food. 10. Spaces are 9' x 18'. 11. No "corner" spaces left. 13. Phone number for Texas Motor Speedway is 817-215-8500.